I don’t remember my first sip of gin. There is, however, a crystal clear memory of my favourite gin drinking moment and the beginning of my love affair with distilled botanicals in a spirit base. I was 21. The mother of my then boyfriend took me to lunch for my birthday. I was about the start my Honours year. We went to a restaurant on the North Shore of Sydney. It was just the two of us and it was rather a treat. I was, at the time, a starving student and so lunch out was a luxury. Liz ordered two gin and tonics. I was sort of momentarily shocked. In the daytime? On the way back from Melbourne, I gazed out the window mouching quietly about having missed seeing some fantastic people. There were just too few hours and I really needed a time machine to make it all work. I even missed out on drinking gin in The Gin Palace; that really really hurt. The trip was too short, the family commitments too long to make it work. I started on a bit of a reverie then. I’m missing people, I’m missing writing, and I’m missing NaNoWriMo! I tossed ideas around. What if I could do something else? How could I make this work? How could I write and keep the little smouldering embers of love of writing burning? I certainly couldn’t write 1667 words a day! But I could blog every day. I workshopped ideas. What to call it? 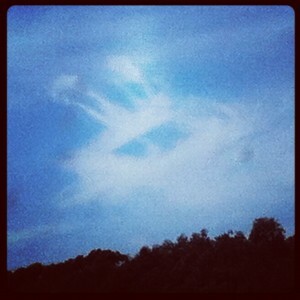 Blog-a-rama? NoNoNaNoWriMo? Blog-vember? Yes that says it all. It’s November. It’s blogging. I wrote the post and sent this little idea out into the ether and who should show up? Only the gorgeous people I missed in Melbourne! I may have let out a little squeal of delight at the first response. Here we all are. Drum roll please. Blog-vember! A little idea to keep my writing spirits up and share the love. Here are just a few of the people playing along. Join us. You can still play and catch up and keep your writing spark. A post a day. Every day for November. Blog-vember! No No NaNoWriMo for me. I have come to a sad realisation that I cannot participate in NaNoWriMo this year. As much as this decision pains me, it is the right one for this year. I just cannot commit the necessary time and my experience last year taught me exactly what that commitment looks like. Of course, I am not willing to give up altogether. Too easy to do that. Instead of NaNoWriMo this year, I give you Blog-vember! A blog post every day for the month of November. At least that way I have a target and a writing goal. Feel free to leave pull-your-socks-up comments if I start writing about what I had for lunch – unless of course the lunch was at Tetsuya’s then you’ll just have to suffer through a blow by blow description. For added interest, I will also give myself the end of November as the deadline for my long overdue book reviews that I keep promising and failing to deliver. Join me! If you are NaNo-ing then go you. 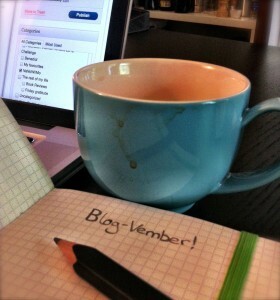 But if you are not join me for Blog-vember. A post a day for November. Who’s in?